Writing that very first IEP out of college can be a very overwhelming task! My college program prepared me very little for this task, and it doesn't help that there are so many different IEP programs and formats used by schools. Regardless, no matter what school or district you teach in, all IEPs are required by IDEA to have all of the same components. I have broken this post down into two parts. 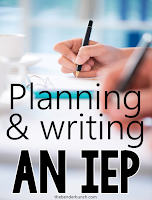 In this post, part 1, I will walk you through the steps of best practices for prepping and planning for your IEP meeting. Next week I will post Part 2, which will walk you through the steps of writing a good IEP. The first thing you need to do is get a copy of your students' IEPs, familiarize yourself with them, and use my example below to make yourself an IEP calendar. Include when their annual IEP review date is due AND if their 3 year evaluation is due. If their 3-year evaluation is due, you'll want to try to coordinate this with your school psychologist so you can schedule it for the same day. Place this by your desk or somewhere you can readily access it. You can download a blank template here. 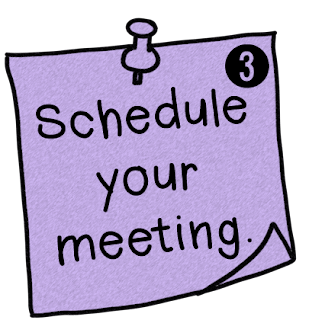 Scheduling IEP meetings can be a daunting task. You have to have a GE teacher present, and an LEA/principal, and depending upon your circumstances and students, you may have to include the nurse, an O.T., a P.T., an A.P.E. Teacher and an S.L.P. Get with your team and find out when is the best time everyone is available. For instance, my SLP is only on my campus on Tues. and Wed. For this reason, I know if I need her to attend, I must schedule the meeting on one of those two days. We have found that scheduling meetings before school in the mornings has worked best for us. Some participants may even need to participate via phone. 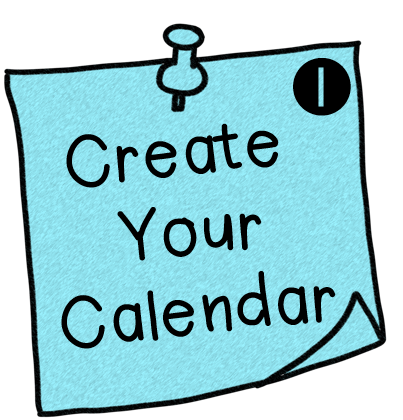 Stay on top of your IEP calendar. Four weeks prior to an IEP due date, contact the parents/guardians to schedule the IEP. Contact them by phone and agree on a good day and time that will work for everyone that will be in attendance. If you cannot reach them by phone, send a note home. If they can't meet with you for lack of transportation, suggest a phone meeting. If an eval is also due, coordinate with your school psychologist. Be sure to status your contact with the parent in the status record. Once you've agreed on a time, type up two Prior Written Notices and two Meeting Notices using the dates you will send them. One will be sent the day of or day after you spoke with them. The other one should be sent a couple of weeks later or a day or two before the meeting. It's just easier to create them both at once while you're in your IEP program. Make a copy of the notices to file in the student's confidential folder and status in status record. 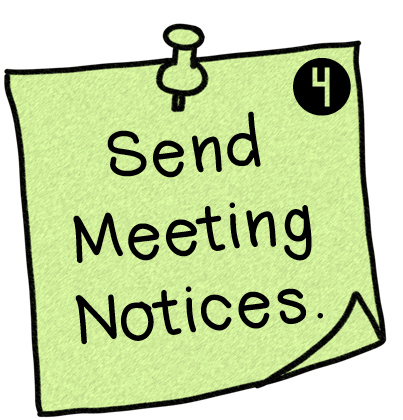 Make additional meeting notices to place in the mailboxes of the other attendees, or you may choose to email them instead. 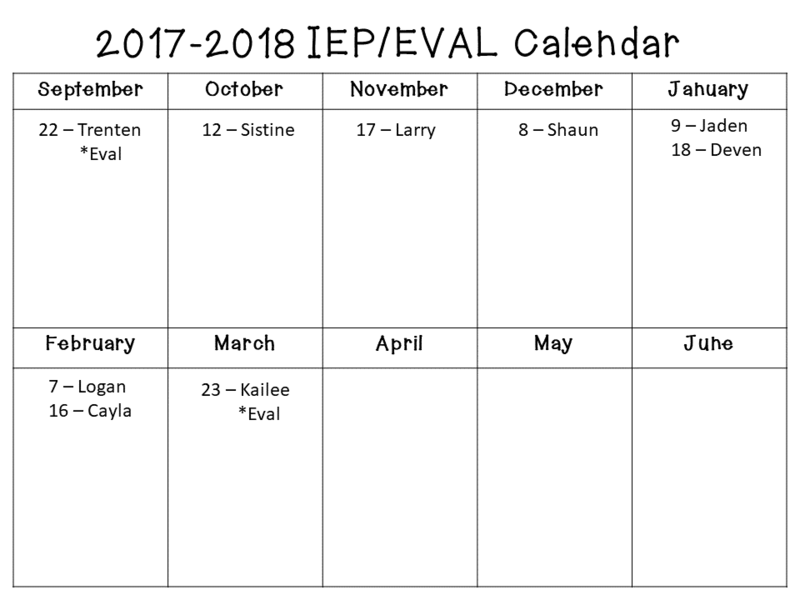 After scheduling your meeting with the parents/guardians, begin assessing your student to get their present levels that will be inputted into the IEP. Assess them in the subject areas that they receive services in. If possible, ask your student what their interests and hobbies are. You will need this info when writing the IEP. Now it's time to write the IEP. 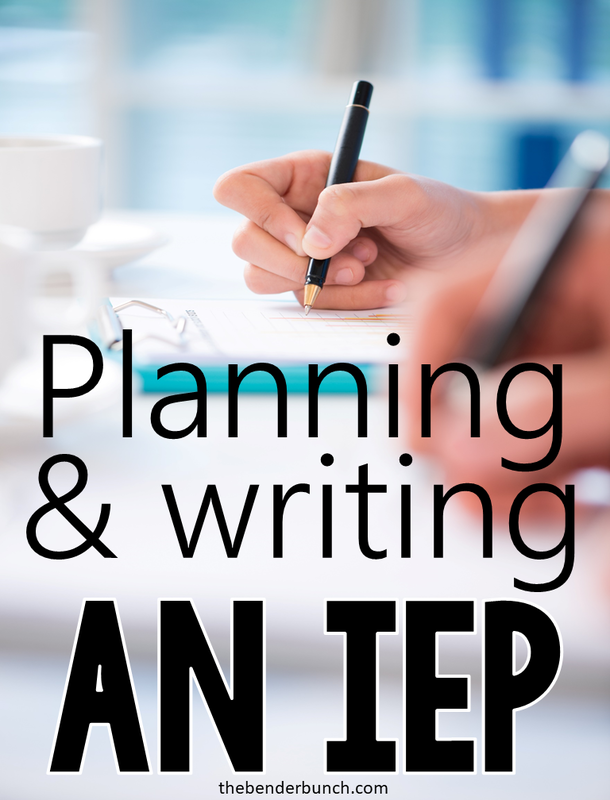 Stay tuned next week for part 2 of this post, where I will walk you through the steps to writing a good IEP.